The Clippers are a band from Boston that seem to be joining the ranks of the other clean noodly guitar bands like Algernon Cadawalder or Snowing, but at times just opt for some straight up rock. At times the off key vocals have me thinking of "When Life Hands You Lemons" era of Piebald. The production is very nice and each instrument really gets good representation here. "Boku & Chevre" opens the record with those noodly riffs I mentioned before. The high energy drums accent the frankness of the vocals and before you know it the band has taken off on a direct, melodic adventure. "Wildflower" follows things up with a good 30 seconds of instrumental noodling before kicking in full speed. Just as quickly the pace slows to a crawl to mark some contrast. "Quiet Confidence" keeps things upbeat and has some interesting bass work with the use of some nice, higher register chords. "Mature Women" is probably the track I would call the most "radio friendly" as it takes less risks musically and seems to flow like a standard pop song. 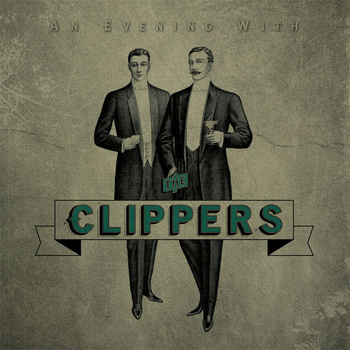 The Clippers give us what we want before signing off with the track "Mulberry Cove" which blasts back to some interesting fret work and upbeat melodies. The musicianship on these songs is pretty superb. You can tell this band has some great chemistry and almost communicate an effortless technicality at times.